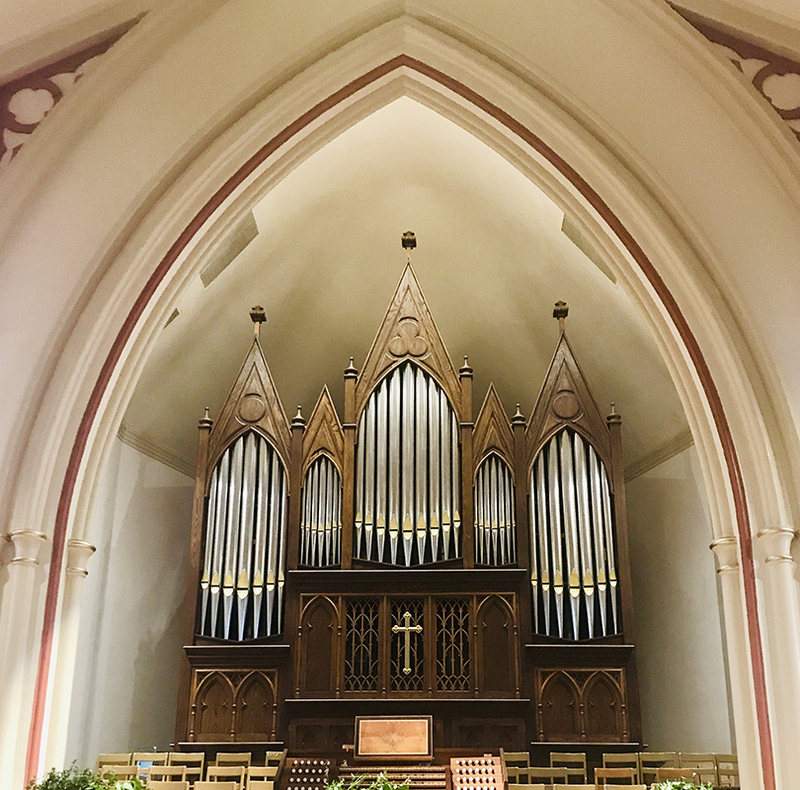 Fritz Noack’s first organ in the South, our 62-rank mechanical action organ was inspired by the church’s fine architecture and rich choral tradition. Located in a raised choir gallery within the front, central apse, the organ speaks straight into the nave. The organ cost $450,000 in 1985. The funds were pledged by the congregation in one week’s time. 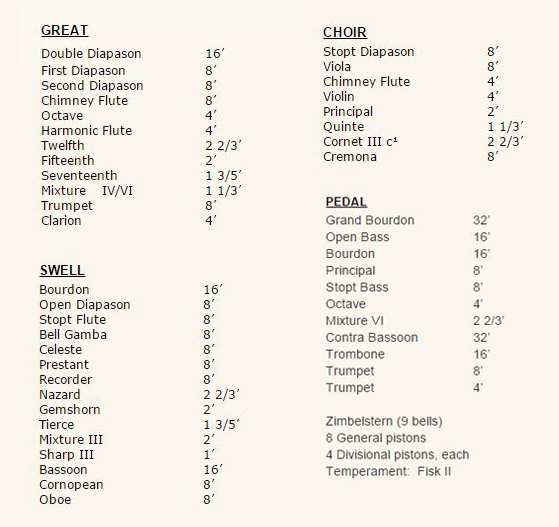 Wesley Monumental’s congregation has always valued great music as a part of worship. The dedication recital was played by Joan Lippincott. 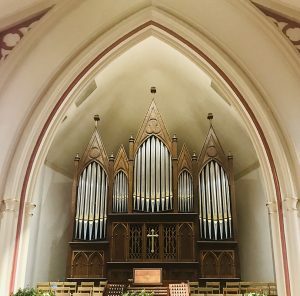 Fifteen years later, Lippincott returned to present a progressive recital, The Noacks of Savannah, also featuring the 45-rank instrument in the Cathedral of St. John the Baptist, just one square north on Abercorn Street. The organ celebrated its 30th birthday in 2015 with a choral and organ concert presented by the Wesley Choir and guest organist Bruce Neswick.